This spring has come very fast! We are writing this about two weeks after we started to plant all the seeds and work with the soil. When May arrived, the weather shifted to spring, almost instantly! We are currently getting over a frost scare with snow and had to water the entire garden the other night and cover all the young seedlings with bed sheets and towels. The weather has been a little volatile here in Ontario this past two weeks but things are looking up and spending time in the garden has commenced. 1. We set up a large seed list of all the seeds we currently had stored (How to properly store your herbs/seeds) and categorized them into medicinal herbs, culinary herbs, vegetables, and ornamental flowers. 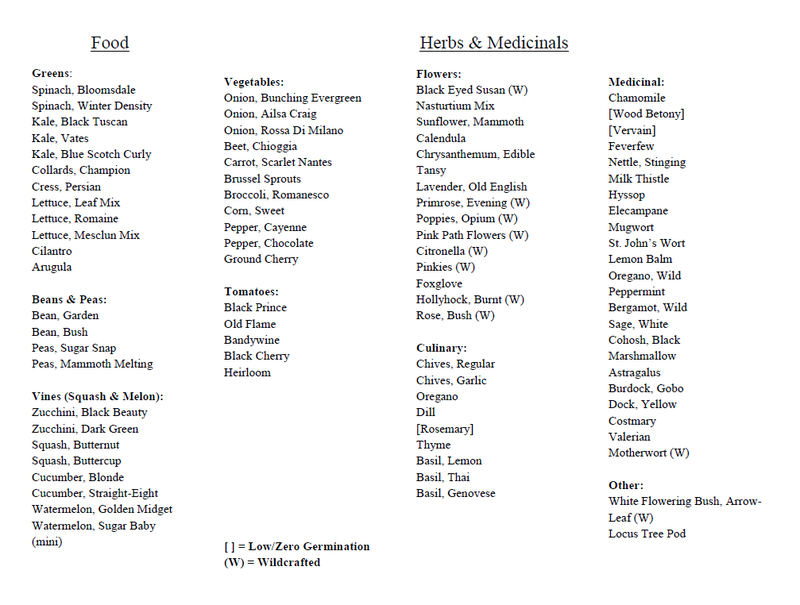 This is our list of seeds we had saved for the 2013 growing season! It really helped put into perspective the diversity of our garden when we went to plant. This list is only our saved-seed list and does not include all the perennials and starters we already had in the garden. As you can see, we plan on growing more edible leafy greens this year and a few less medicinals. Also, planting more flowers for the insects and pollinators to eat – We have been working towards a blooming schedule that allows spring, summer, and fall flowers so there is a continual food source for bees and other insects. 2. 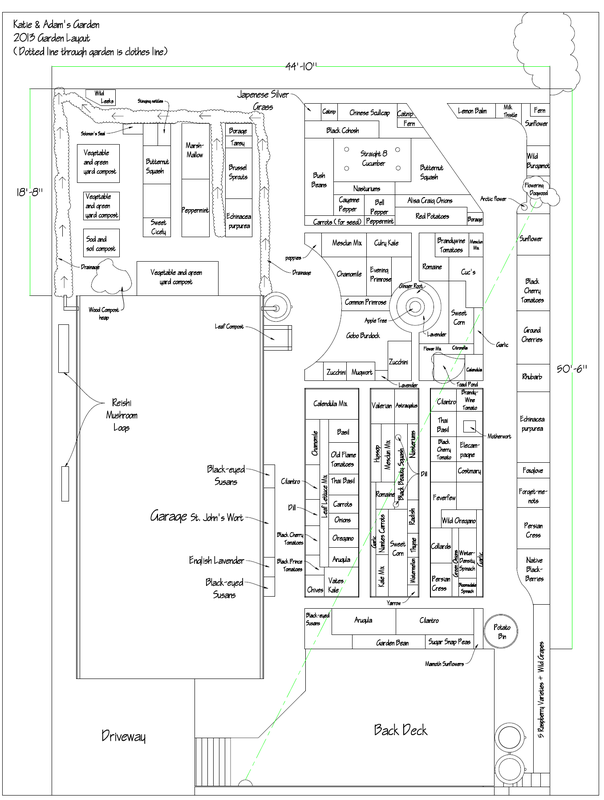 Design a layout of your garden/yard space with rough dimensions to allow you to plan where you can plant your vegetables or flowers. The help of a ‘companion planting’ books helps out a lot! – After the shape and size of the garden was determined, we started to look up the plants that needed full sun vs. partial shade. I recommend watching the sun’s path during full summer to see the clearance (or lack of) of any buildings or trees around the area. If in spring or fall, the path will be much lower to the south so account for a higher crest during mid-summer. – We also use a companion planting book for all of our culinary herbs and vegetables to have as diverse a garden as possible! For example, planting garlic or onions around some greens or vegetables helps to deter aphids or other insects that could become a detrimental problem to your garden. 3. 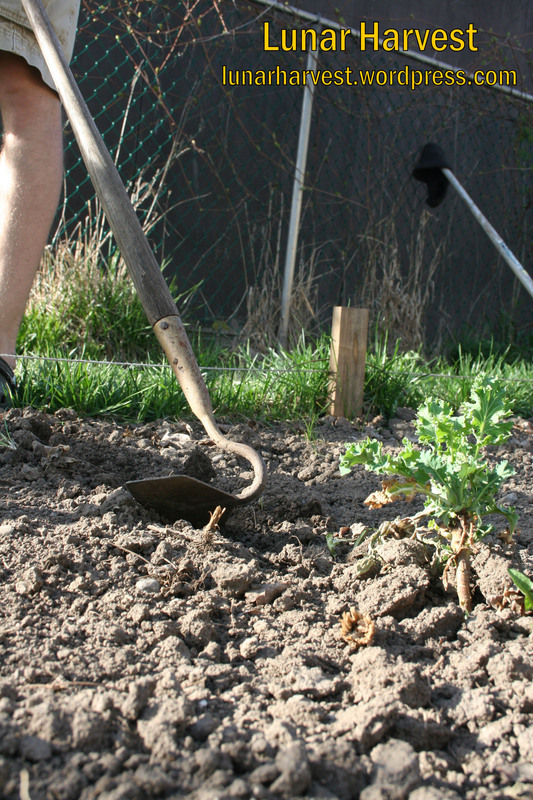 Till and supplement your garden soil with hearty, dark compost to nourish your plants! The first real account of spring, at least for me, is when you can actually put your fingers into sun-warmed soil. This really signifies spring in my mind and is my sense of connection between the planning phase and the planting phase. We first started tilling at the end of April or first week of May, here in Ontario, Canada, and just worked in some high carbon leaf compost mixed with home-made vegetable compost (high in Nitrogen). We tilled and stirred the soil in our beds, mostly around the perennials, while adding a deeper trench of carbon rich leaf compost beneath the vegetable seeds. The next step in the garden is the most fun – PLANTING! Once all the planning and organizing is done, we are so happy to be able to plant the seeds and transplant our starters in the earth and watch them grow.